Cincinnati is well known for its farmers market. 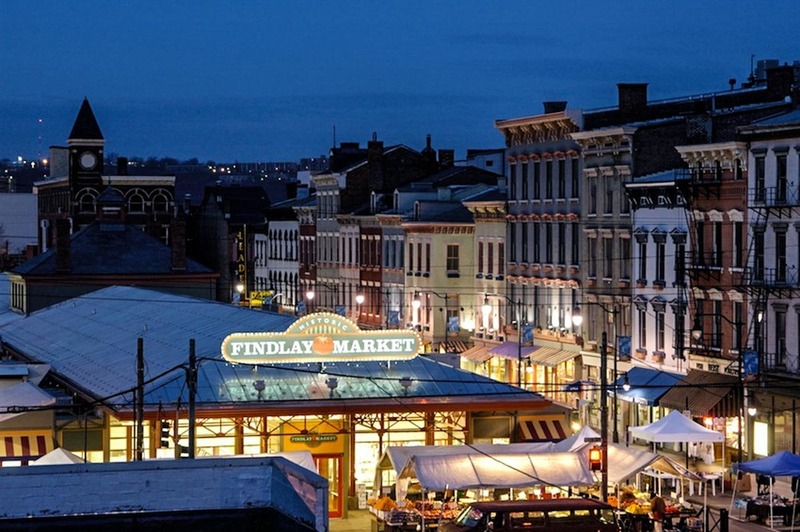 Findlay Market, founded in 1852 and the oldest public market in the state, has a great array of butchers, cheese shops, fish mongers, sausage makers, spice stands and beautiful locally grown produce. There is also a great Vietnamese market, a barbecue joint and wine shop. Order the Saag Choley. It’s chickpeas and spinach cooked in a tomato cream sauce. Order the stuffed chicken wings with shrimp, chicken, bean thread, black mushrooms and served with sweet chili sauce. I'm a sucker for good pizza. It really depends on what I'm in the mood for, but I usually get the pepperoni pie. I have them cook a traditional family-style meal -- jelly fish, beef tendon, crispy pork belly, scallion pancakes with hoisin duck. It is one of my favorite experiences. Everything they do is wonderful. It’s a steakhouse, so I usually have a ribeye with king crab and béarnaise. Opened in 1981, it’s a Cincinnati institution that keeps current with everything it does while not forgetting its roots. Cincinnati chili is very unique and well known. Not being from Cincinnati it’s not my favorite, but it is fun to bring people from out of town to your local chili parlor. I go with Skyline. There are a bunch of industry people that head here to drink. It’s a dive, but it’s a lot of fun when the place is packed. Todd is the executive chef of Orchids at Palm Court and director of Food & Beverage at the Hilton Cincinnati Netherland Plaza in Cincinnati, Ohio. Previously, Kelly worked at Ember Grille and Peter James Townhouse in Charlotte, NC and Rubicon in San Francisco. We are trying to create a world class dining experience utilizing the freshest ingredients available to us. We use contemporary techniques and interesting flavor profiles all while keeping the integrity of the ingredients as the focus. Currently, we are serving a wonderful soup of fresh English peas. The soup is served with a piece of salmon that is brined, smoked and cooked at 135 degrees. The fish is then crusted in a powder of crispy puffed pork skins and finished with lemon oil and locally grown pea tendrils. Being springtime, I am really excited to forage ramps and morel mushroom in the coming weeks. On a year round basis we work with a local paddlefish caviar producer, Renee Kroner of Big Fish Farms, who does a fantastic job with the caviar and is an intricate part of our menu. To get more of chef Todd Kelly's Cincinnati eating and drinking recommendations, download the Find. Eat. Drink. iPhone app.